Through our integrative model, we bring together the best of many healthcare disciplines for your benefit, combining a wealth of knowledge and a wide range of services. When functioning properly, the body heals itself as it was designed to do. Health challenges arise when the body’s systems get out of balance. We seek to identify and diagnose the underlying issues inhibiting natural healing. Through high quality, holistic treatment, we address the whole body in order to bring about real change. We provide a customized and personalized plan of care for each of our patients. This allows for symptom relief and long term transformation leading to an active and healthy quality of life! Our approach is to evaluate and treat the systems to decrease the stress load. This will allow the body's healing energy to relieve symptoms and bring the body back to balance. Chinese medicine has been studying and applying this for over three thousand years. We combine recent scientific and medical breakthroughs with ancient wisdom to bring about some of the most effective healthcare solutions available. 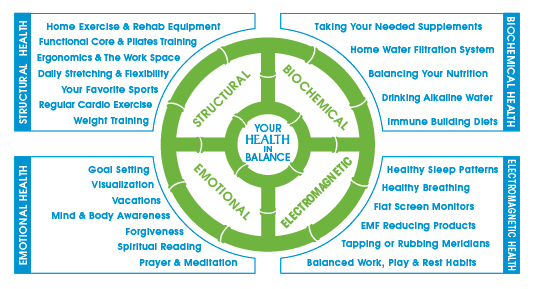 As your systems are brought into balance, your health can be restored!